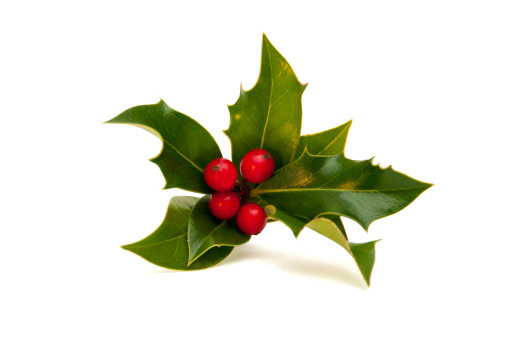 Hello dear rose friends – don’t be frantic but grab a cuppa, slow down and believe me, all will be fine and dandy when you sit down for Christmas lunch this time next week. If you need a ‘last minute’ gift sent somewhere in Victoria, call me NOW on 5787 1123 and I will organise posting a GIFT ROSE on your behalf. 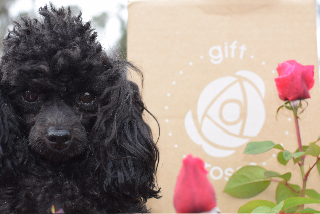 Anywhere else, I can still post a BOOK or GIFT VOUCHER, a pair of secateurs or gloves … take a look at rosesalesonline.com.au and let me ease the pressure of your Christmas gift-giving – only today or tomorrow, Friday 19th at the very latest! We won’t come to your ‘inbox’ on Christmas Day so this is our final Rose Rambler for 2014 – we have enjoyed the fabulous learning experience of our interactions with you as a result of the ‘rose issues’ raised – really, truly, Graham and I love putting this together each week! 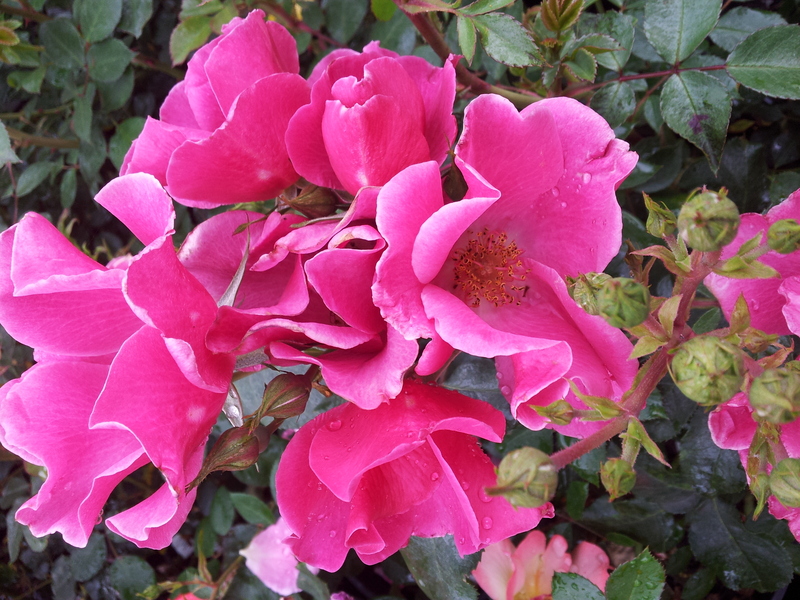 Thank you for your constant feed-back which gives us a feeling that this newsletter from Clonbinane makes a valuable contribution to your learning about how to successfully grow beautiful roses just as Nature intended, organically! In reflection, this has been an amazing year – this time last year, I signed a contract to write a book; ALL ABOUT ROSES was published in September and Graham had heart surgery in March from which he has made an amazingly speedy recovery; we’ve experienced the usual ups and downs that go with a family and running a business; 2014 will definitely be remembered! Life’s great when one has a rose garden to come home to … the place where you can dump your troubles, take respite from the heat and hassles, trim spent rose blooms and one by one, pretend each spent flower is a problem you’re quitting from your life – let them rot in the compost heap and let that compost along with the experiences of life renew and revitalise your garden. DEEP SOAK … like, really DEEP SOAK the garden before you go and do the same the minute you step out of the car when you get home! Put potted plants in a filtered light or shady area of the garden with water trays under them. Ensure a good layer of mulch is placed over all garden beds and milled lucerne is excellent mulch for potted plants and veg seedlings. Have a reliable person visit once a week to water the garden! Give every plant a soak with seaweed solution before you go! Put a bucket full of horsesh, cowsh, sheepsh or chooksh (any animal sh.. or blend of sh..s will work) in a hessian bag and soak it suspended in a drum of water for 2-3 weeks. Put it well away from the house (and washing line to keep the wife happy!) then dilute that solution at the rate of 1 litre ‘free’ fertilizer to 9 litres of water – always add seaweed! Q. What did the farmer call the cow that had no milk? A. An udder failure! 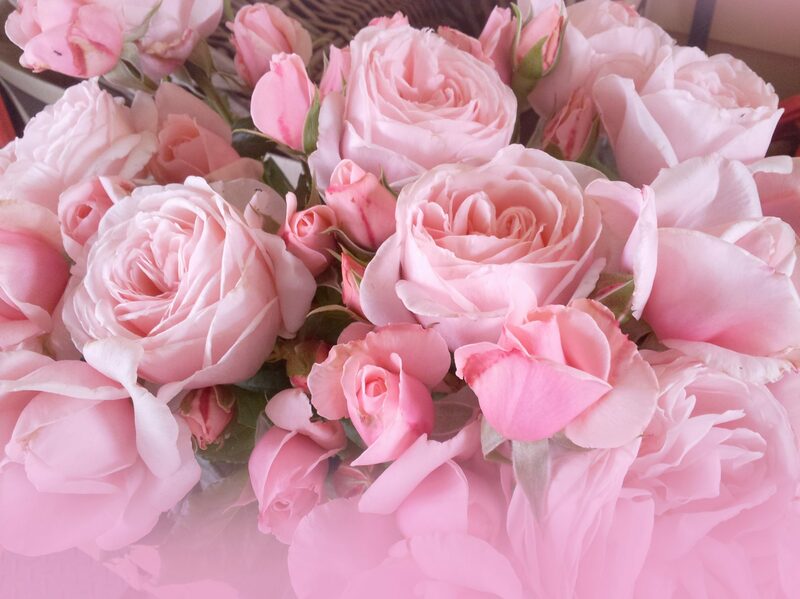 Every FORTNIGHT pour the solution over rose foliage – preferably in the morning when the stomata (like the pores of your skin) are open and very receptive to nutrient uptake. If time permits, it is more product economical to spray any fertilizer products over the leaves but they work just as well from a watering can because residual nutrients go into the soil which is important too! Hello dear rose friends … there’s been a bit of rain about so we encourage you to diligently proceed with your organic rose management program to protect the roses from fungal disease – remember prevention is far better than cure and in the case of the organic rose management program, way more economical too! If you haven’t applied fertilizer over the garden beds, rain events are a brilliant opportunity to feed the garden but NEVER APPLY FERTILIZER TO WET FOLIAGE unless you know for 100% that heavy rain will follow the application. We usually water over the plants to be sure no fertilizer is sitting on the foliage … even quality organic fertilizer can burn foliage if hot sun shines on it!!! When fertilizing, remember that you are feeding the soil so distribute the fertilizer pellets evenly around the plant root-zone – very important! Hope your garden beds are well mulched by now! When I’m pulling weeds from my veggie patch, I keep two very separate piles of weeds – the creepy-crawly (couch, etc.) in one bucket and all the others are added to my compost heap and covered with a light layer of straw. Occasionally, I turn the heap and I most definitely keep it moist to speed up the break-down process. I do the same thing around the garden – you become a bit resourceful when you get that little bit older! I make ‘mini compost heaps’ all around the yard like in my orchard, I’ve been trimming the trees prior to netting – those trimmed bits will go straight onto the ground, I’ll cover them with a bit of mulch and in no time, they’ll be composted back into the soil to benefit the fruit trees. Doing compost like this DOES NOT LOOK UNTIDY – once it’s mulched it just looks like a mulched garden bed yet there’s a whole lot of goodness going on under that mulch. I always feel like I’m ‘giving back’ what the soil has so graciously provided. The most important thing about composting in summer is to keep the heap nice and moist AT ALL TIMES and water-over occasionally with seaweed solution as this speeds up decomposition. When you use this compost to mulch around your roses, always put a light layer of straw over it so that the hot sun doesn’t kill off any beneficial microbes! Q. What do you call a fly with no wings? A. A walk …. ! Tell this one at Christmas lunch – you’ll be a HIT … just like me … ha ha! 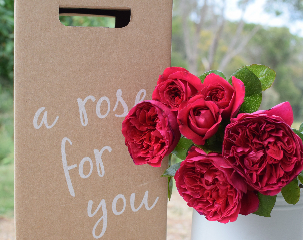 – so let us take the pressure off by sending a beautifully packaged ‘gift rose’ to someone you love … next MONDAY, 15TH DECEMBER is the cut-off date so DO IT NOW … you’re welcome to call me on 03 5787 1123 or you can proceed to rosesalesonline.com.au or giftroses.com.au where you’ll find a plethora of appropriately named roses to suit the recipient. – if not in your bed, most definitely plant one in your garden! – every guy should have one! – the name simply says it all at Christmas! it will grow beautifully for even the most novice rose gardener. Call me if you don’t like the above suggestions and together we’ll find a really beautiful variety to make a lasting impression of your giving this Christmas! Of course, you can ALWAYS very simply buy my book – ALL ABOUT ROSES which I will happily inscribe with your personal message or organise for a gift voucher to be posted! 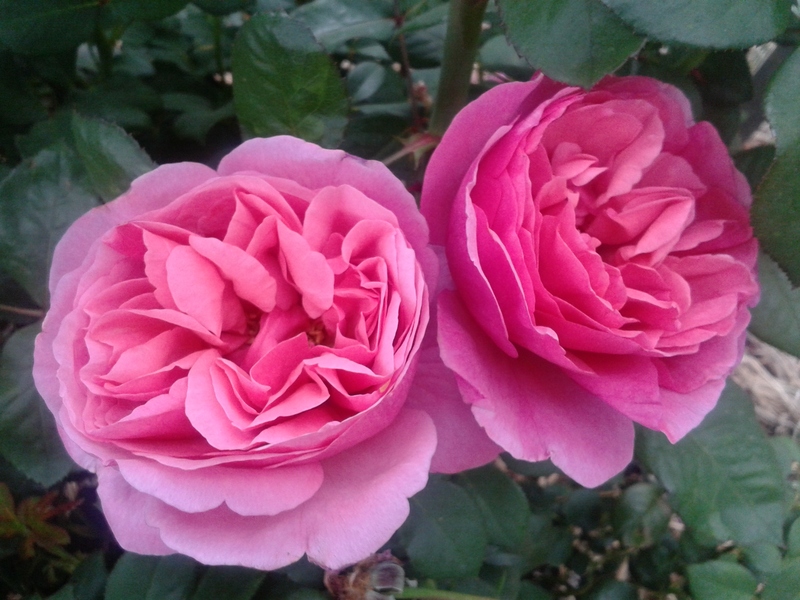 Hello dear rose friends – welcome to summer and exactly four weeks to Christmas Day! 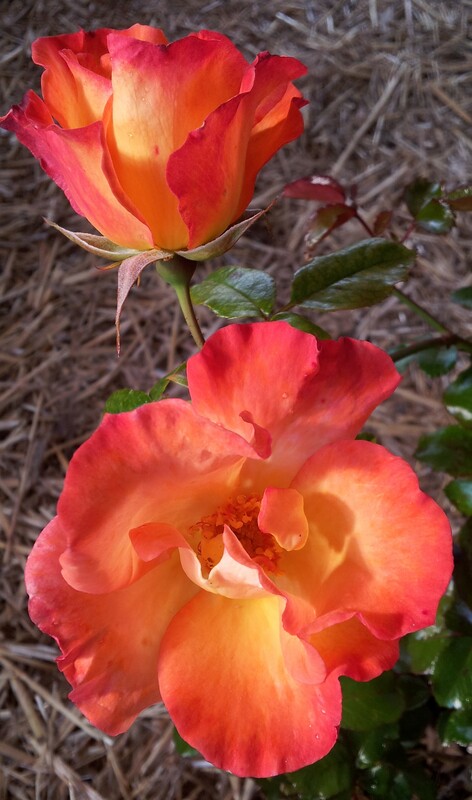 As the excitement of the holiday season builds, I’d like to focus on HOW TO WATER ROSES so that both you and your plants are prepared for your garden to flourish this summer. In my book, ALL ABOUT ROSES, which I urge you to buy so that you can keep it on hand to give you ‘personal’ advice for the management of your rose garden, I dedicated a whole chapter to watering the rose garden and there’s a tip which I would like to share because when I talk with our customers and tell them this, they’re visibly astounded at how easy this is and why they never thought of it themselves. 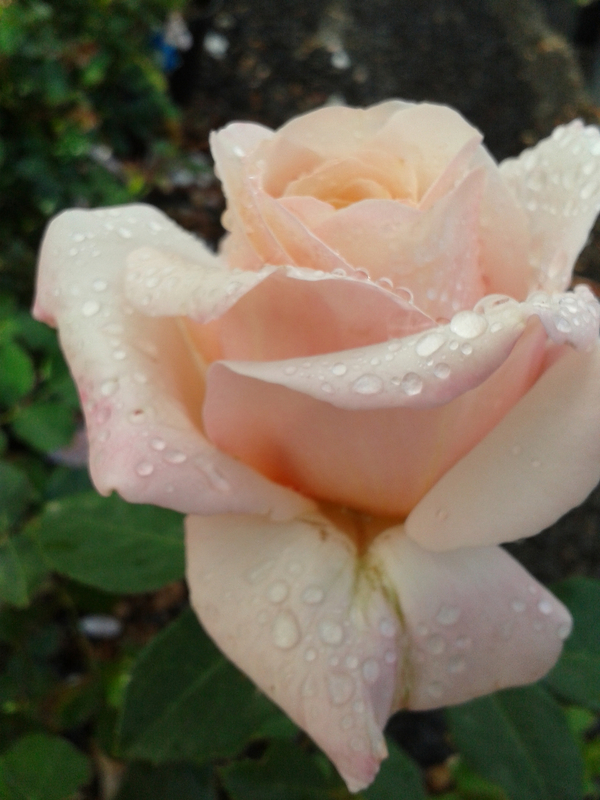 Roses will continue flowering with 20 litres of water per rose per week so do a flow-rate check of your water pressure. Get a 10 litre bucket, turn the tap on full pressure and fill the bucket. Accurately time how long it takes to fill the bucket. Once you determine the water pressure/flow rate, create a simple design of garden beds, take a core sample of your soil and then go visit a specialist irrigation supplier who will advise the best method of watering your garden. After 30 years of (mostly frustrating) experience and having installed every single type of irrigation system available, our garden is now very satisfactorily watered using ‘shrubblers’ on an automatic system which we treated ourselves to having professionally installed! We both like to SEE water being delivered to our plants and shrubblers offer this – they’re also very low maintenance and the flow-rate can be adjusted where plants with different water requirements are planted in the same bed. There are plants that help other plants keep insects away, often commonly referred to as ‘companion plants’ – roses love a range of plants which provide shelter for beneficial insects which make a feast of aphids, whitefly and thrip – insects which cause nightmares for rose gardeners because they seriously damage the flowers. You can plant calendular, alyssum, nasturtiums and of course, garlic but I find it much easier to buy packets of seeds called ‘BACKYARD BUDDIES’ which I plant in large pots, polystyrene boxes and greensmart (self-watering) pots so that I can move them around the garden if/when there is a prevailing insect attack. I planted seeds and within days the plants are emerging – a mix of annual and perennials flowers including Red clover, Lucerne, Anise, Sweet Alice, Dill, Caraway, Coriander, Cosmos, Buckwheat, Baby’s Breath, Marigold and Queen Anne’s Lace … last year, the flowers from all these plants were beautiful companions around the nursery amongst the potted roses. Kids will love to plant these seeds so here’s a great Christmas idea – call OCP on 1800 634 204 and order a few packs, plant them with the kids over the holidays and watch them be entranced by how quickly the plants emerge and let them observe how ‘their’ plants manage to keep pesky insects under control in your rose garden this summer. This is a brilliant opportunity to get kids involved outdoors and in the garden! Q. What do you get from nervous cows? A. Milk shakes! Men can be difficult to buy gifts for … this gloriously fragrant rose, named FATHER’S LOVE is a perfect gift for the ‘difficult to buy for’ Dad in your life. 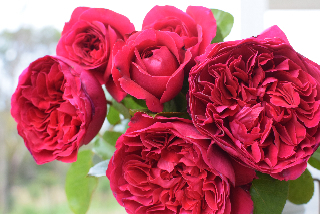 This rose is so appropriate as most men LOVE red roses – they also NEED to have FRAGRANT RED ROSES.